People get different cartoon characters tattooed on them for many different reasons. Some are for their children, cartoons you liked as a kid, for a loved one either living or that has passed, something that the individual may feels represents them in some way, or just because they wanted to get that specific tattoo done. As with many other tattoo designs there are so many different cartoon characters that you can get on you by a piece of flash art or something that you totally came up with on your own. I think cartoon tattoos are fun to have and get. Cartoon tattoos catch peoples eye and sometimes make you think of a favorite past time you had watching that particular cartoon. Sometimes cartoon tattoos brings up something you may have forgotten even existed. Now as any other tattoo you want to be careful where you place it and what kind of design you get since this may prevent you from getting or keeping a job or career you may have or be interested in. Just to be on the safer side get it in a spot that no one will see during work hours. 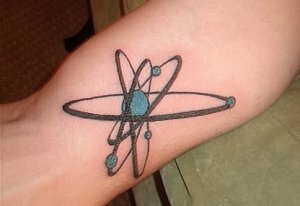 Below are some images of older and newer cartoon tattoo ideas you may like. Mickey Mouse is no doubt the most reconizable cartoon icon. Everyone grew up watching Mickey cartoons. Mickey tattoos remind people of a time when they were carefree and had no responsibilities. 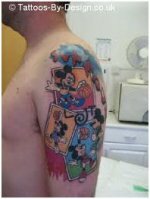 If you are looking for a classic cartoon tattoo than Mickey or one of his Disney friends is the perfect idea. Characters from childrens books are another popular form of cartoon tattoos. Getting a tattoo of a book character is a great reminder of your childhood. 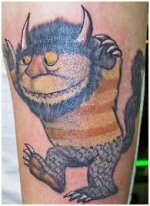 The tattoo pictured here is from the book "Where The Wild Things Are." 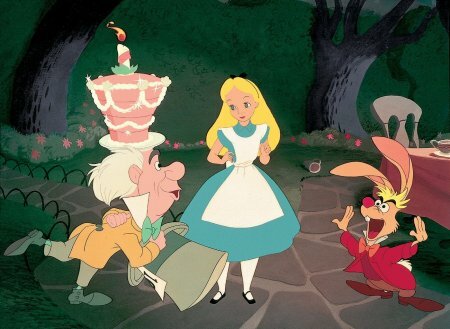 It is a classic childrens book that was recently turned into a movie. The Nightmare Before Christmas is a popular movie. While it was not hand drawn it is still considered a cartoon. 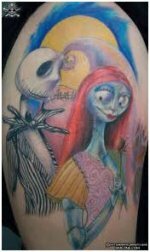 There are many Nightmare Before Christmas tattoo ideas. You can get one like this which has Jack and Sandy or you can get one of the other great characters. They include Oogie Boogie, the mayor, Santa or Dr, Finklestein. Anybody that grew up in the 80's should know all about the Smurfs. They were one of the biggest cartoons of the decade. A few great Smurf cartoon tattoo ideas are Papa Smurf, Brainy Smurf and of course the one and only Smurfette. She is the only female Smurf which makes her exteremely special. While Fraggle Rock wasn't actually a cartoon since they were puppets it is still a great tattoo idea. You can get a huge tattoo with the whole gang and maybe even some of their cave or you can get individual character tattoos. Gobo, Red, Sprocket, Boober, Mokey and even the Doozers. The Popples were yet another great cartoon from the 80's. They made Popples toys and everyone wanted to have them. A great thing about Popples is they are very bright and colorful so they make for awesome tattoos. The Aqua Teen Hunger Force is one of many great shows on Adult Swim. They play shows that are aimed toward an adult audience. Chances are many of the tattoo designs for The Aqua Teen Hunger Force are going to be a little graphic unless you just get a basic tattoo of the characters. 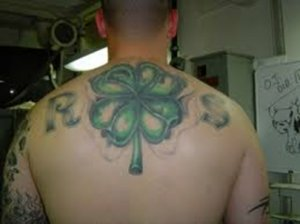 Also anyone who reconizes the tattoo will not likely be offended since they obviously know who they are. 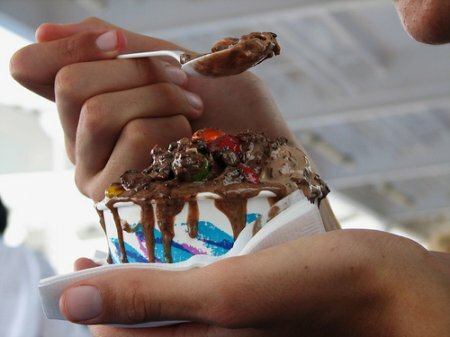 I hope these pictures gave you a few great ideas for your next tattoo. Remember you can get a tattoo of any cartoon you loved as a child or even now as an adult if you really want to. There is no limit to the wonders you can create when dreaming up your very own special cartoon tattoo. 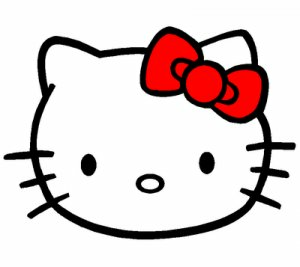 Share a link to a page on Cartoon Tattoos and we will consider it for placement on this page.